Our bedroom renovation is very nearly finished! Hooray! It’s taken forever, I know, but the last two months we’ve not spent more than 1 day at home to actually do some work on it, and there’s only so much you can achieve doing little bits here and there in the evenings. Plus, y’know, we’ve got a wedding in 7 weeks, so there’s that to plan too! I’ve been wondering whether to wait for the grand reveal (I am finally going to do one, hooray! What kind of a DIY blogger am I that I’ve never done a room reveal before?!) or whether to fill you in on what we’ve done in there first, and decided to go for the latter as a little teaser, but also to remind myself (when getting annoyed that I’ve not yet found time for the final coat of paint on the wardrobes) how much we have actually done. Please be aware this post contains no Pinterest-worthy images. More like horror story. Apologies. I’ve only included the before or during shots snapped hastily on my phone – if I show you the ‘afters’ you’ll be getting too much of a peek at the final room (though if you follow me on Instagram you’ve probably already seen most corners of it already!). The first thing to go was the huge panes of 50s glass that lined the top of the corridor wall to give the corridor some natural light. They were awful, and whenever we had visitors who needed to get up in the night the corridor light (which had an inexplicable 9 bulbs) blasted into our room like the sun. The back wall was covered in wallpaper, hung horizontally (! ), which was peeling. Every other wall had the dreaded woodchip. The old radiator was in the wrong place and didn’t work very well. The outside wall, near my head, had a damp problem. Behind the old radiator – yuck. On one side of the fireplace we had some functional and very well built-in wardrobes, though they were pretty ugly. 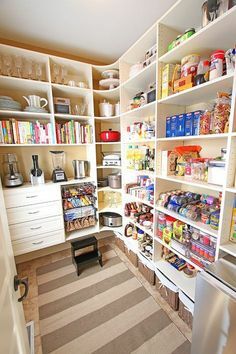 On the other side a few open shelves had been haphazardly stuck in at random heights to fill the gap. It was cold, ugly, and definitely not very, er, romantic. So, first things first – the glass. We only started on the bedroom in truth because we needed to remove the glass to finish the hallway, which had a knock-on effect of making the bedroom even more uninhabitable (we discovered orange paint under the paper! ), so once the glass was carefully removed (no safety glass here – the panels shattered really easily) and the wood trim holding them in levered off, we added battens and plasterboard in the gaps. We then stripped the wallpaper from the rest of the room, which resulted in various chunks of wall falling off, as per usual in a property of its age – see the chimney breast below – so much more fell off it had to be boarded. It was about three weeks before the plasterers arrived to fix all of this, so we lived with it like this for quite a while. We also removed the wall lights prior to the plasterers coming, so lived with just bedside lamps in there until we installed the chandelier. The plasterers took two days to finish the room, and because all our other bedrooms were filled with building materials and the stuff from the bedroom, we had to sleep in a bare room surrounded by drying plaster! The first night it smelled pretty dreadful so I decided we should camp out on the sofa bed in the living room in front of the fire, with a movie and a bottle of wine, and for a rare treat, the dogs were allowed on the bed. Billy thought all his Christmasses had come at once! Because the plaster was so thick in places to fill the chunks that fell off, it took quite a few days to dry. We then had to do two mist coats, and our first coat of paint. This was our first mistake. In my head I knew the colour I wanted, so I went to B&Q and picked a Valspar paint chip, got it made up, and slapped it on the walls. I knew right away it was a huge mistake – the colour was too blue and just not warm enough for a bedroom. Learn from my lessons people – testers! Eventually I figured out the colour I really wanted was the one we used on the spare bedroom and then changed our minds about! We also decided on a feature grey wall for behind the bed. The colour on the bottom is the one we went for. Meantime, the cupboards needed some serious TLC. I wanted them to look a bit more elegant, so decided to add moulding to look like panelling. I’ll do a full post on how we did this after the reveal, but it was surprisingly easy and the difference it made, even before painting, was huge. Suddenly there was some interest in the room. I also moved the handles on the top doors from the middle down to the bottom, so now I can actually reach to open them. A small change which took ten minutes but has made a huge difference to the way we use the room. No more stepladders! We also made the decision to replicate the look on the back wall behind the bed, using some chunkier moulding with a more interesting profile. This was basically exactly the same process as adding it to the wardrobes. We intended to get mirrors cut to size for the side panels, but, well, when we saw how much we had to bend the wood to get it to lie flush on the wall, we gave up on that idea! Even freshly plastered, nothing in our house is perfectly straight. Then we replaced the old radiator which we removed before plastering with a shiny new one, properly located under the window, and a much more attractive style and more heat efficient. It has made such a difference on cold nights – even with the heating on a little bit it actually heats the room now. Next came a lot more painting. Final coats on the walls, ceiling, all wood trim including skirting boards, windows, door and frame, the wardrobes, and of course the fireplace. I don’t want to give away too much by showing you photos of how it looked painted, so you’ll just have to be satisfied with the glimpses in the photos below of the final major task – the new built-in wardrobe. Before the plasterers came we had ripped out the silly shelves on the right hand side of the chimney breast. 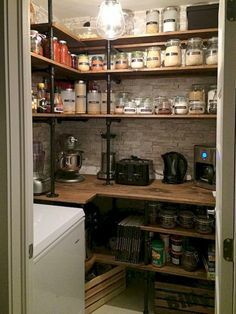 Now we needed something to replace them, and I (of course) wanted a built-in wardrobe to match the ones on the other side! I had an idea of how I would go about this, but of course, Ste was already way ahead of me and knew exactly how to do it. And in just one day, he built me a wardrobe. Well, I mean, with his glamorous helper of course! We then added trim, and replaced the skirting either side and once painted you would not know it was not made by the same people as the other ones! 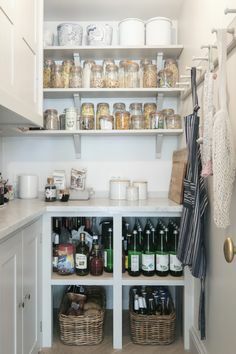 I am delighted, and once we had added shelves inside the perfect height for some of my Ikea storage boxes, it became a functional space instead of wasted. I’ll probably do a post on precisely how he did this as well, because the man is basically a genius. Just as well I am marrying him! So, there you have it – all the actual work we did on the bedroom renovation. Makes it sound so easy doesn’t it? And yet we are still not done, mainly because we were waiting for the new bed, now I am working on the furniture and decor, and we’ve just managed to get the right curtains. All these things take time, especially as actually they have been the most expensive part of the project, right at a time when we’re diverting all money to the wedding. I’ve got some amazing eBay bargains though and have been upcycling car boot and charity shop finds to gradually turn it into the room we already love spending time in, and soon, very soon, I’ll be able to share the finished room with you. I can’t wait! What do you think? 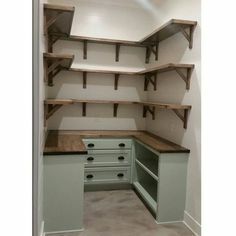 Would you be interested in tutorials on the wardrobe and wall moulding and the built-in wardrobe? Are you considering your own bedroom renovation? Happy to answer all questions! Bit sad you took out the 1950s reed glass. I really like it! but I guess it doesn’t fit with your style. Very impressed with the DIY wardrobe. Painting and sanding is about my limit these days. But the builders are quite good at building us stuff!!! 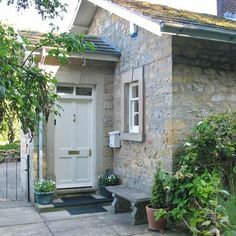 I think it can look great in the right place, but an 1850s cottage is not the right place for it! It’s not so much my style as the house that it didn’t fit 🙁 It just felt very very wrong. Wow, you had your work cut out for you here! I can’t wait to see the finished room, It’s a guilty pleasure of mine looking at other people’s decorating choices :-). Also who on earth hangs wallpaper horizontally PMSL?? Years as a painter & decorators daughter and I’ve never heard something so weird lol. Hope you have a wonderful day on your wedding by the way…not long now! I know, right? We were wondering if there was some reason for it, but I think they just had no clue!! You guys did a LOT of improvement to that room (and I applaud the repositioning of the new radiator). I for one, would enjoy the tutorials. Wow you have been busy Anna. That room has had so much work done to it. I have to tell you even with my house which was built 25 years ago the walls are not straight. So much for workmanship. I love how your room is turning out. Ah you don’t like the glass above the doors! I think it can be pretty handy in homes that are inherently a bit too dark – it keeps as much light as possible bouncing about the place, but I can see your point too!